Stuck tape over the 5v pin on usb cable, cleaner sound, placebo? Hi guys, does cutting a 5v line on a usb cable work as a noise isolator? To begin with here is my audio chain. I play Flac/Wav music, minimum 16bit 44.1kHz using jriver 19, Wasapi, Full volume, nothing in the dsp chain - cleanest possible. I own a Musical Fidelity M1 Dac, which offers async usb, but not galvanic usb isolation as we all know this can lead to all sorts of noise problems. It's self powered so I believe doesn't require power via the 5v of a usb cable. I tried playing back and forth with optical and Usb to see if there was any difference, as it's an headache to know you've paid lots of money to have a degraded experience, especially when there's talk of improvements such as isolating Usb etc. Trying both out with Jriver. Optical was connected via a Titanium Hd soundcard, no motherboard connection. Optical seemed to offer a faster attack and delay to percussion type instruments, like a sparkly finish to the sound, yet vocals seemed slightly recessed. Usb brings the Vocals more into play, they are more pronounced and focused, easier to concentrate on, and more analogue/warm , but the other sounds are slightly blurred, i can't hear that slight reverb finish at the end of a sound, its almost as if it has been cut off! I conducted a test. If I stick some electrical tape over the 5v pin on the A connector of the Usb cable, and play with the Dac connected via Usb, switched to Usb mode only, the sound seems to be more crisper. To define crisp.. If a percussion is playing , its attack is faster and there is no blur to it, i can pick it out among the sound in its own little space. It's not just percussion, it makes each sound a little easier to identify, more spaced out, but the soundstage hasn't changed at all. I hope this isn't placebo as I haven't got any monitoring equipment to measure the difference. The thing is, I would rather use an isolator to do this as there is a slight issue with covering up the 5v pin. A sine wave is introduced into the sound if I plug in speakers to my wall outlet. The speakers are connected to the Dac also, but the Xlr have had their ground pins cut. So why not removed the tape with the speakers plugged in? I did. And the sound via usb lost its crisp edge again. Any truth to this or is my mind playing tricks? Will a Usb isolator do the same as stopping the 5v from a computer touching the signal? I actually covered up the ground pin, not the 5v pin. Need to edit the thread. Mods? So i changed the tape to the 5v pin - which I claimed to had done already, doh!, and with speakers plugged in theres no sine noise. The sine noise is playing when the ground tape is covered. I disconnected the speakers from the wall outlet, the sine wave noise disappeared, also I tried turning them on (they were off as I use headphones mostly) again, the noise disappeared. So, the sine wave noise which appears when I disconnect the GND of my Usb cable, appears with the speakers in the chain, with them removed, no noise, understandable as there are 3 pin plugs on each speaker. I have now removed the 5v and Gnd on the usb cable, unplugged the speakers from the outlet, no noise, and what appears to be a much cleaner sound. I blame the graphics card in my Pc. Quite a few views on this thead. If you're using a Dac via Usb, give it a shot! I found that with the Regen supplying power downstream for the DAC or USB converter, covering the +5 volts from the computer makes things sound noticeably better. I assume there is some capacitive coupling of noise that is avoided by doing this. Companies like Wireworld try to avoid this problem. They shield and move the power conductor farther away from the signal conductors adding more insulation between them. The Curious USB cable appears to evict the +5 volts outside the cable jacket, into an insulated and shielded wire. However, when you put tape over the 5 volt contact at the computer end, there is no electrical potential between the power lead and the signal conductors. The easiest method I've found is to cut a strip of scotch tape 1/8 inch wide by 1.5 inches long. 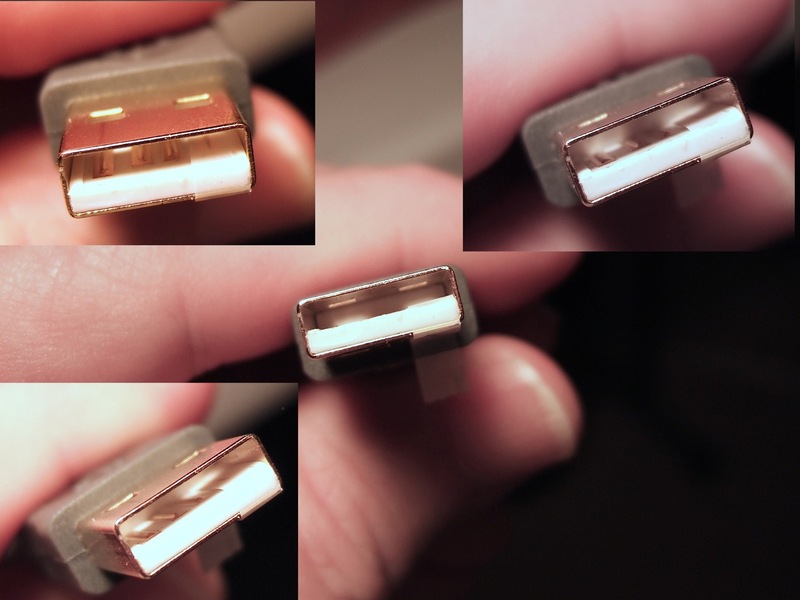 When you insert this strip of tape into the "A" connector, keep the non-stick side of the tape against the top interior of the connector and use the right side of the connector as an alignment guide. Once you have it fully inserted and aligned, press down on the tape at the face of the connector. This will maintain the alignment until you can press down the adhesive side of the tape onto the electrical contact inside the connector. You'll need something thin to slide into the connector to press down on the tape. The key is not to let the tape stick during insertion, so keep it against the top of the connector until you're ready to press it down. The scotch tape is very thin and does not cause a significant increase of pressure between the contacts. If you remove the tape later, it is advisable to use a cleaning solution to remove any residual adhesive from the contact, lest it transfer into the mating connector and gum things up. Have not tried with a dac that uses USB buss. Have tried on Firewire dacs and not connecting FW power was always an improvement. Rather than tape up the cable it was better snipping the power wire at the computer end. This allows seeing what the construction is inside some of the cables. Clarett used as ADC for vinyl rips. Corning Optical Thunderbolt cable used to connect computer to 4Pre. Dac fed by iFi iPower and Noise Trapper isolation transformer. Any better photos. I'm a newAB my TREGEN is upstrem before my ifi NANO. I don't want to cut any wires or do any soldering thats not my skill level. Double click on the left photo to obtain a much larger photo. You only need to cut and install a small piece of adhesive tape to cover the far right pin only, as per the suggestion above . If your DAC still works, and there are audible benefits then you can try the adaptor. I have my raspberry pi (RPI) running off a linear power supply and supplying music to my system. Its a great improvement having removed the switching PSU. The problem is my external hard drive containing my music is plugged into the RPI. Not only is it sending the digital data, but also its receiving 5 volts from the RPI (not good). Now the external hard drive has its own PSU supplying both 12v and 5v. I think this means the 5v from the RPI is redundant and I should be able to cut the appropriate wires at the computer end (red and black). This will mean that the wire connecting the hard drive and RPI will only carry data and should improve SQ. It's possible, but it's also possible the hard drive does not connect the +5 Volts from the RPI, but uses its own PSU. You can check by taking the Hard Drive apart and testing to see if the USB power contact on the drive's "B" connector is isolated from any circuitry in the drive. If it is connecting the power of the two units, then the simplest thing to do is tape over the power contact on the USB cable. Of course this assumes the drive does not need the power coming from the computer. Your thinking too hard. Your external hard drive is self powered and sending data to the PI memory via USB. As long as your not streaming from the external hard drive but from memory, your good to go. I won't worry about that 5V data lead in the USB cable. If it concerns you just tape over it. It's not powering anything. It's known how power supplies can be a bit over or under the exact stated voltage. What if the hard drive is fed by 5.0v and the RPI gives out 5.2v. Will the HDD still 'ignore' the RPI. Just so I have a full understanding of what's happening. The HDD delivers the information to the RPI in a manner that is not subject to jitter (and any other things that may affect it). The RPI then streams it via USB and at this stage the digital data becomes susceptible to jitter etc. Why do you keep mentioning the USB power supply output of the RPI? You said the external hard drive is powered separately thus not powered via USB, so the USB power of the RPI is meaningless. What media player are you using? If JRiver, you should be streaming from memory. There is a setting for it. Yes, once you stream the audio data it needs to be handled with clean power. Its because, unless I am mistaken there is still 5 volts being supplied by the RPI up the USB cable. (I can measure it). Its a redundant 5 volts so I am guessing the external HDD has no facilities to receive and use it. That's simply all I want to know. I am using Moode Audio software. 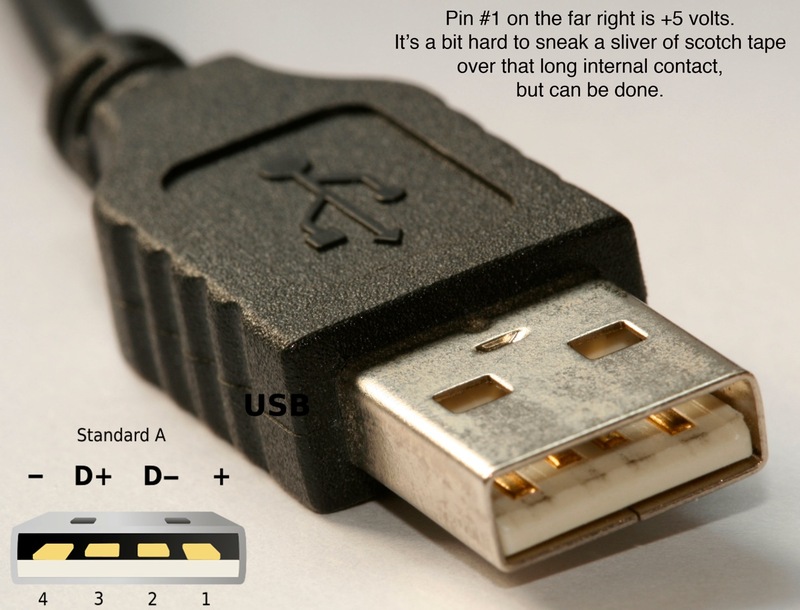 Correct, if at all concerned with it, just tape over that USB 5V pin from the RPI, it's meaningless. I am not familiar with this media player software. Can you stream from memory with it? If not, and your streaming from the external hard drive, then you might want to consider a clean source of power for the hard drive. Then I would want a 2.5" HDD or SDD, 5V for my external drive. Less power to power separately.